The Healthcare Innovation Centre (HIC), a partnership between Teesside University and TWI, is part of the new INTELLISCAN project. It is examining the use of artificial intelligence to completely digitise breast cancer MRI interpretation and reporting, leading to more reliable and accurate analysis and faster diagnosis and treatment. The UK currently has one of the worst survival rates for cancer in Western Europe, with one in every five women newly diagnosed with breast cancer dying. At present, screening mammograms do not find about 20% of breast cancers and there has been a global move towards breast MRI as a more efficient screening method. However, current technology still requires human interpretation of the image data which can be timely and subject to human error, due to fatigue or stretched resources for example. The INTELLISCAN project, funded by Innovate UK, is using advanced image processing and deep machine learning to deliver improved automated detection for breast MRI scans. The technology will utilise a Breast Image Interpretation and Transmission Model (BIITM) to interpret and transmit image data, instantly detecting anomalies and categorising them by severity. It will also flag any discrepancies through the patient’s history and expected progress. Dr Jianxin Gao is Director of the HIC at Teesside University and says the world leading research could revolutionise breast cancer scanning and analysis and have a significant impact on people’s healthcare. 'This technology could completely change the way breast cancer MRI’s are scanned, analysed, reported and actioned,' explained Dr Gao. 'Hospital radiographers will be presented with digitally advanced and highly reliable reports, allowing them to treat and diagnose a greater number of patients. If successful, Dr Gao says there is no reason why the technology could not be rolled out for other illnesses which require MRI scans. Early detection is crucial to survival and this technology could help to save the lives of thousands of patients. The INTELLISCAN project has received a grant of £830,000 from Innovate UK, an executive non-departmental public body, sponsored by the Department for Business, Energy & Industrial Strategy. As well as the HIC, the project is working with partners Brunel University London and First Option Software. 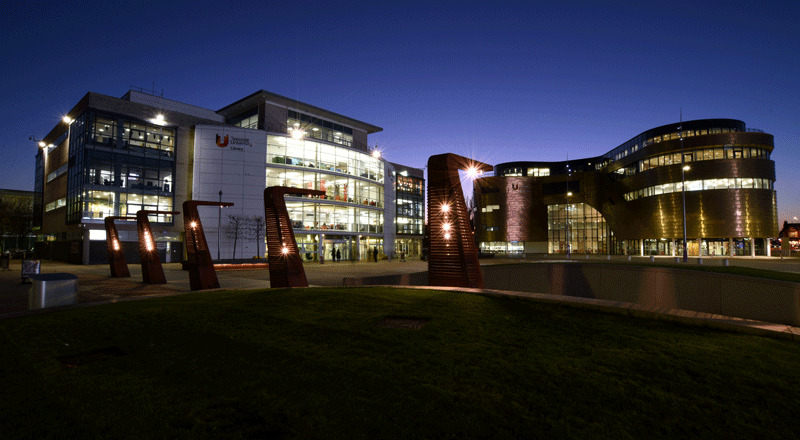 Teesside University’s HIC will concentrate on image processing and patient data, Brunel University’s Innovation Centre will lead on the artificial intelligence and machine learning algorithms, while First Option Software will integrate the technology into a software application. This work supports the University's Grand Challenge Research Themes of Health and Wellbeing and Digital and Creative Economy. It is part of a wider aim to address some of the global challenges of our time through focus on externally facing research which makes a real, practical difference to the lives of people, along with the success of businesses and economies. Two UK universities have announced they are developing intelligent systems to diagnose breast cancer after Theresa May's calls to make artificial intelligence the new weapon against cancer. New ITELLISCAN project is examining the use of artificial intelligence to completely digitise breast cancer MRI interpretation and reporting. Artificial intelligence may soon help in earlier and more accurate diagnosis of breast cancer lesions, significantly improving patient diagnosis in the UK. The Healthcare Innovation Centre is part of the new INTELLISCAN project which examines the use of artificial intelligence to completely digitise breast cancer MRI interpretation and reporting.